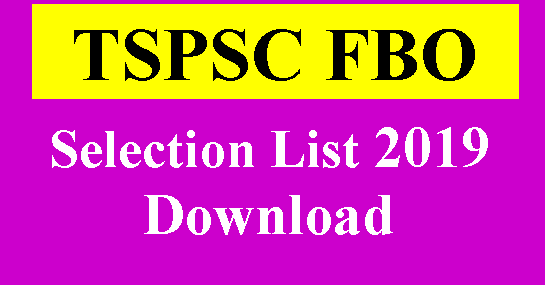 TSPSC Released FBO(Forest Beat Officer) Selection List on 12-02-2019. 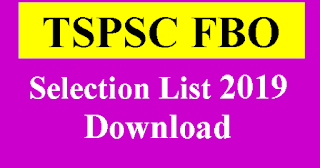 Now Yo can Download TS FBO Selection List and Check With Your Hall Ticket Number.Download Telangana FBO Selection List. It is hereby notified that on the basis of the results of the written examination held on 29/10/2017 FN & AN, Physical Test Events held for 1st Spell from 02/07/2018 to 12/07/2018 and 2nd Spell on 06/02/2019. Certificate Verification held for 1st Spell from 20/08/2018 to 25/08/2018 in erstwhile districts and 2nd Spell on 05/02/2019 at TSPSC Office, Hyderabad, to the post of FOREST BEAT OFFICER IN FOREST Department, the following Hall ticket numbers have been provisionally selected for appointment to the post of FOREST BEAT OFFICER IN FOREST DEPARTMENT vide Commission’s Notification No.48/2017, Dated: 15/08/2017. The selections are published here with subject to the following conditions. 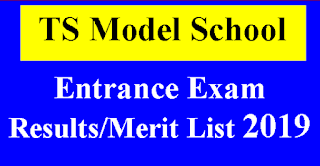 1) That success in the examination confers no right to appointment unless the appointing authority is satisfied after such enquiry as the case may be considered necessary, that the candidate having regard to her/his character and antecedents is suitable in all respects for appointment to the service. 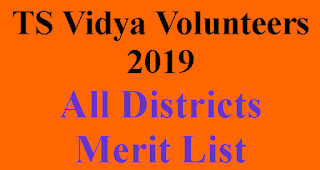 4) In compliance with the orders of the Hon’ble High Court in W.P.No.31426 of 2018 and 31423 of 2018, the selection of ST Candidates those who claimed as local to Agency Area Certificate, is subject to receipt of final report of the appointing authority in terms of G.O.Ms.No.24, TW(LTR), Dated:12-6-2018. 5) The selections are subject to the final outcome of W.P.s and other cases pending, if any, before the Hon’ble High Court of law.